Knowing me as well as he did, my grandfather chose to leave me his antique books when he died. Among them was J. Jenkins’ English Vest-Pocket Dictionary, a book his father had given to him when he was young. 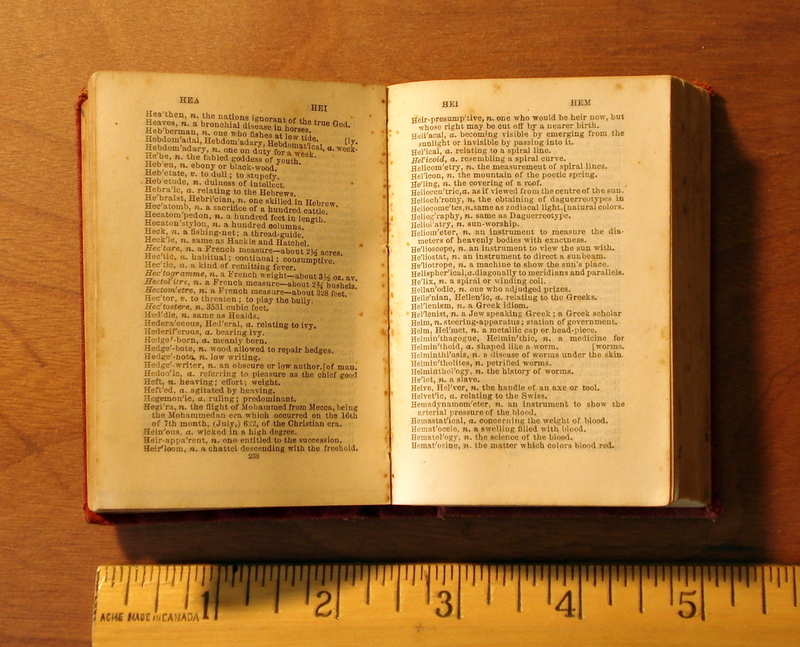 The book contains no date of publication, but similar editions date to the 1860s and ’70s. Full of wonderful archaisms, each miniature page of the dictionary offers many words that are entirely new to me—what a treat! Since the title’s estimated publication date puts it firmly in the realm of the public domain, I thought I’d share some Vest-Pocket words with you. See how many obscure words you know!